SecureStat® Has a New Look! To ensure a smooth and seamless transition, you will be notified 60 days prior to the discontinuation date of Revisor Online. Over the next few months, new enhancements to SecureStat that will provide even greater control and visibility to your site and account information will be brought online. This Revisor Sunset FAQs document will provide additional details about the new SecureStat enhancements and help answer questions you may have about this final step in the transition process. If you have further questions or are unsure what your SecureStat login is, please email securestat@securitases.com. * In the future, Revisor Online will only be offered to Securitas ES dealers and certain government customers. 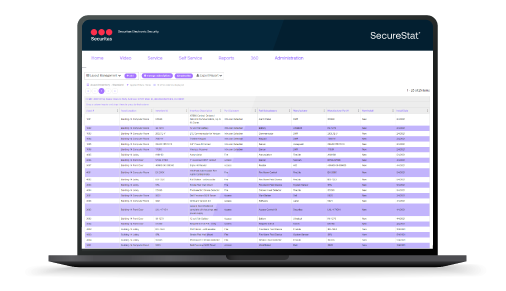 SecureStat puts even more power at your fingertips with a dynamic business data analytics engine - enabling you to more effectively analyze and investigate your security and business-related activities. Examine and produce comprehensive reports with completely customizable, full view data examination capabilities to arrive at actionable information that can lead to more successful security investigations and more predictive operations. 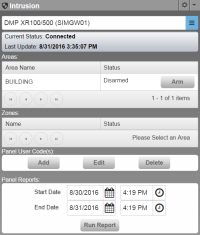 Remotely arm, disarm, check status, bypass and manage your alarm systems, regardless of location or platform. Account Executive to learn more.